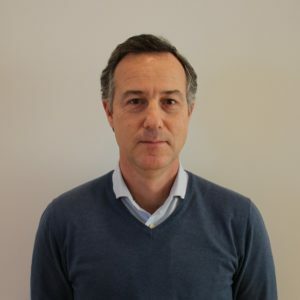 João Piteira is the Principal Investigator of the System Engineering group within the Nanoelectronics scientific research line at the International Iberian Nanotechnology Laboratory (INL). He has received his Engineering Degree and Master´s Degree in Electrical Engineering (Electronics and Telecommunications) from Instituto Superior Técnico (IST), Universidade Técnica de Lisboa (UTL), in Portugal. He has over 20 years of industrial semiconductor product development experience in R&D environment for various companies (Chipidea, Integration Associates and Silicon Laboratories). Over these years he started and led design teams to develop and market several complete IC products for communication and consumer markets with production of several millions units. His areas of interest are the IC design of mixed-signal circuits in deep submicron technologies and design of complete system-on-a-chip solutions with increasing level of integration including sensors and actuators. His research activities and interests are focusing on sensor interface architectures and design of complete IC solutions allowing integration of Spintronics and MEMS to market hybrid devices for semiconductor and biomedical applications.